"There is a reasonable suspicion that the Saakashvili's team is funded by members of Yanukovych's team." The searches and detention of Mikheil Saakashvili are within a probe on the suspicion that his team was funded by the runaway Ukrainian oligarch Serhiy Kurchenko, head of BPP faction Artur Herasymov told the Verkhovna Rada on Tuesday, 5 December. 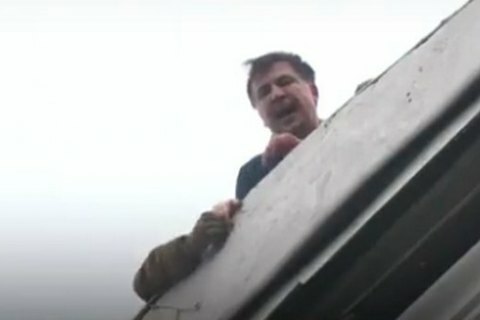 The Security Service of Ukraine (SBU) said in a release that Saakashvili was served a notice of suspicion of aiding and abetting participants of criminal gangs. Serhiy Kurchenko will be tried in absentia for the creation of an organized crime group. He faces charges on 10 criminal episodes, including 18 bn hryvnia in embezzlement, and over 14 bn hryvnia in damages to the state.